1.Preheat grill to medium. Brush sliced zucchini with olive oil on both sides. Sprinkle with salt and pepper. Grill until tender, about 4 minutes each side. 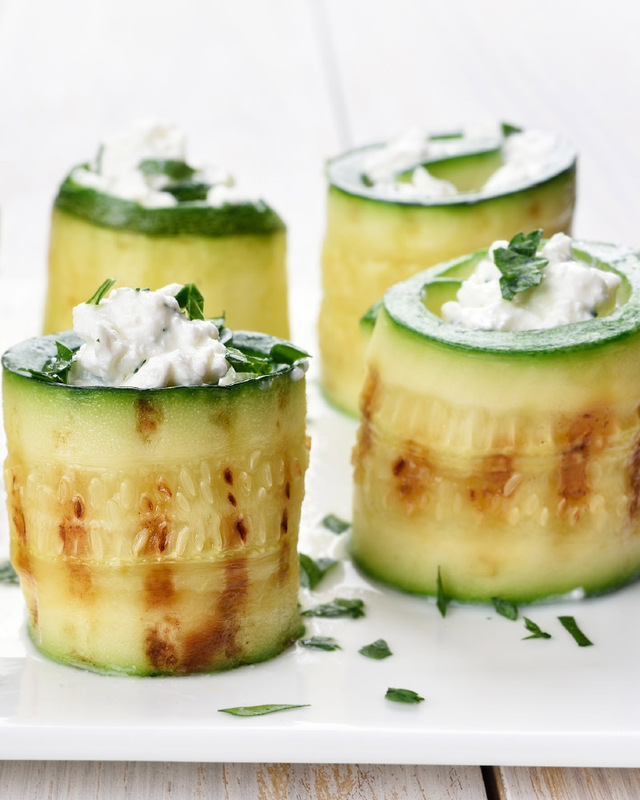 2.Put 1/2 teaspoon herbed goat cheese about 1/2 inch from the end of the zucchini slice. Roll up and place on a serving platter. Sprinkle with freshly chopped parsley. > You can make these a day in advance; store in the refrigerator in an airtight container.